Their unit was original-ish but uninspired, they report: Pepto-Bismol colored walls, popcorn ceilings, ho-hum carpeting and 1980s tile. 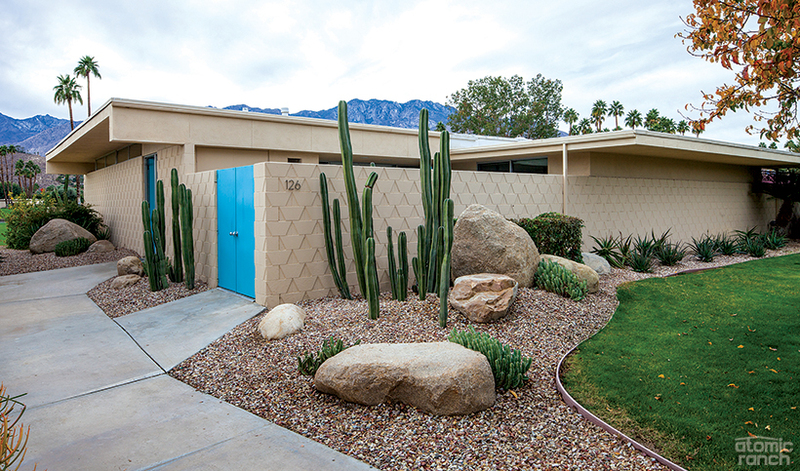 What recommended this modernist home was the location and potential. 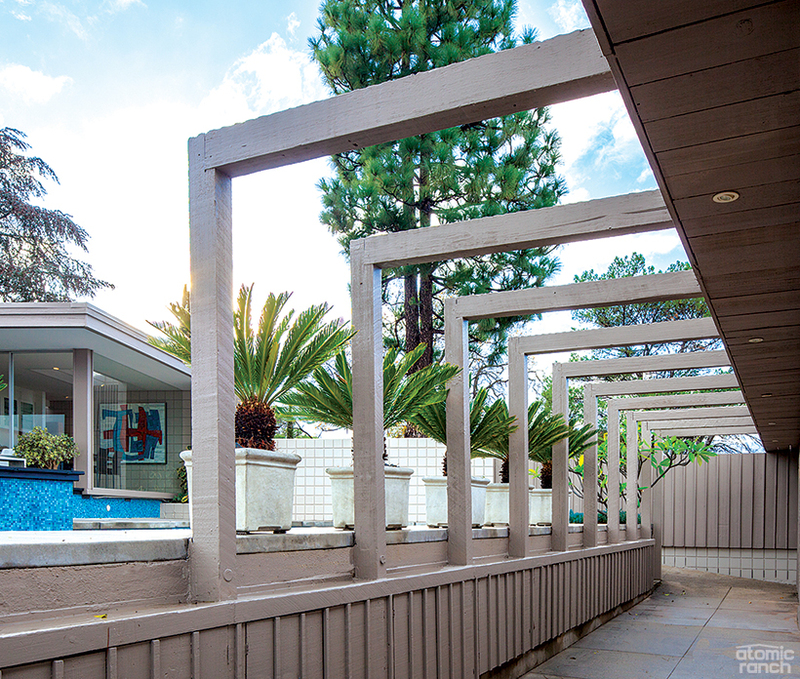 “In the ’70s and ’80s some of the homeowners enclosed their courtyards and didn’t necessarily follow the architecture as Harrison designed it,” says Ziel. Getting from what they had to what they envisioned involved redoing all of the systems, along with new dual-pane windows and sliding glass doors, fresh flooring and gutting the kitchen and baths. “These condos were built very solidly,” Langford says. “The floors are plumb, roofs are thicker than in an Alexander and there’s a soffit where the AC runs, so we were able to abandon the [defunct] plumbing in the concrete slab and run new pipes and electrical through [that]. Beams attached to the adjoining art studio has a “spider leg” quality and add some interest to the exterior. 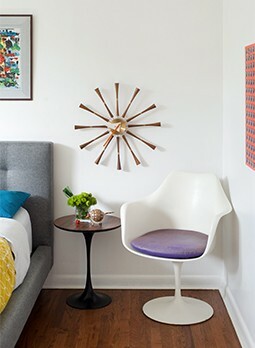 Stay tuned to find out what fixtures made their Seven Lakes house a modernist home as well as what lies in store on Mulholland Drive in part 2 of this dual-house tour!